It was a cold and rainy day. Perfect for napping, cuddling, oh and building puzzles. That is one happy big brother!! Trenton is showing Noah one of his puzzles. This is another favorite. We were trying to get a picture with him and his momma but, like most 5 year olds he was all over the place. I feel this image encompasses real life and love. Congrats you two, he is adorable. Started off this post with one of Will’s favorite things…TRACTORS. Love this image. Holding Daddy’s hand, Will’s nose and lips…so cute. If you follow my blog you know I love photographing hands. Angie - So much love and personality in these!! I love them all! What a sweet family and beautiful images to remember such a fun age! JennyBZ - Oh these images are the sweetest!! What an adorable family! I love love that last one and the ones w Wills truck! So fun to have that forever captured! jacqie - LOVE the image of him holding Dad’s hand. Such a sweet session. LOVE the lifestyle approach. This morning fall session is full of smiles. in love with this because you can see the love and connection. playful dads make my heart happy. There is a comfort in home sessions. of the 3 of you, this is one of my favs. adore this image….mom and dads hands, Trey’s little arm hanging down. 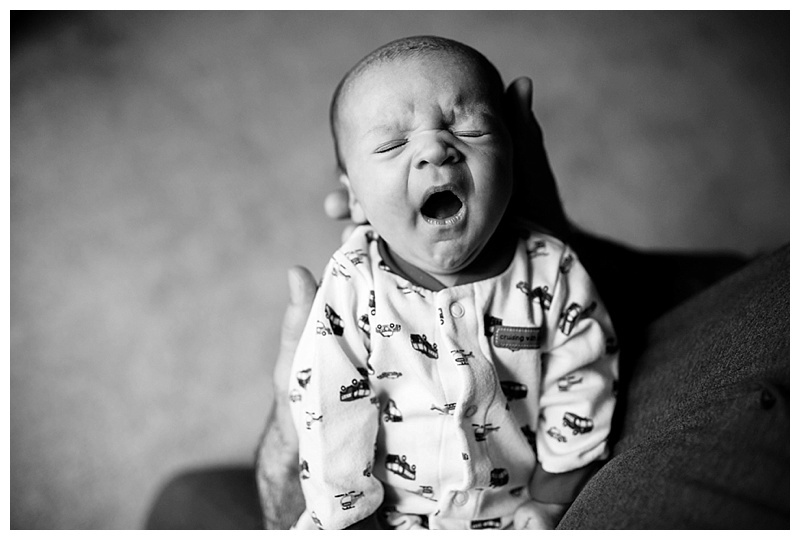 Why is it so cute when a baby yawns? Or is it just me that thinks that? shhh shhh shhh……..always seems to work. He is one cute little nugget. Larry and Caitlin you have a beautiful baby boy and a lovable fur baby. Laurie - What a sweet family! These images are all stunning, and I cannot get enough of the patterns you used from around the house. Love the over head black and white shots throughout, but that first one is amazing! JennyBZ - oh my goodness, what a beautiful little nugget!! his eyes are amazing! i got a little weepy looking thru these, he’s so precious and then my own little miss just started moving around and i can’t wait to snuggle her like little Trey is getting snuggled. these are perfect! and i LOVE the one of daddy holding trey watching football. perfection! Angie - This session is beautiful!!! One of my favorites you have ever done!! Melissa Yocum - You are SOO GOOD at these sessions! And what a beautiful baby boy! Love the intimacy of that last shot especially! Megan D - I’m obsesssssssed with this session!!! 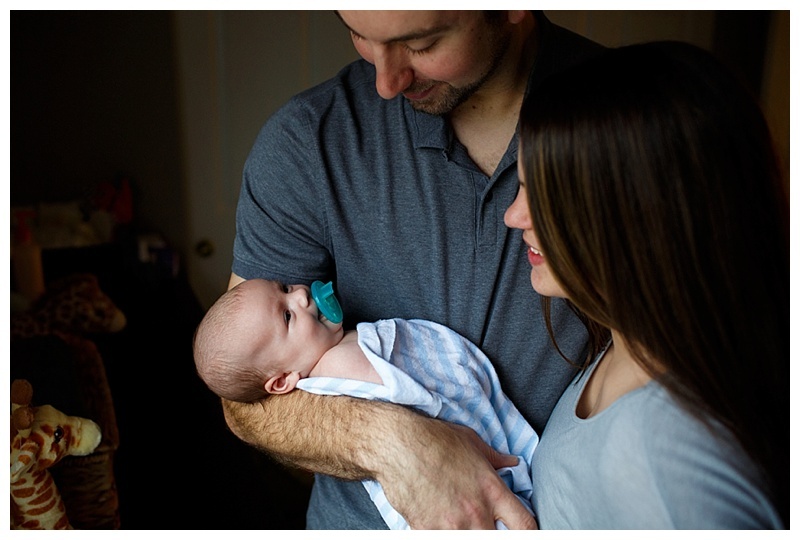 I adore in-home newborn sessions and you outdid yourself on this one!! Perfect captures of time with their sweet new addition. Gorgeous job as always friend! !